Porcupine fish blow themselves up with air or water to double their size and intimidate enemies. Porcupine fish further intimidate with the sharp spines all over their bodies. 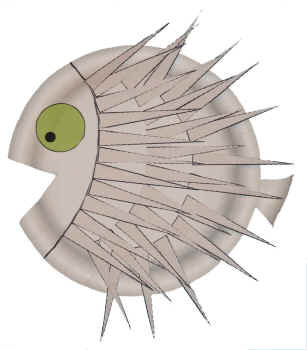 Make your own porcupine fish from a paper plate and construction paper.